The World Cultural Heritage City of Gyeongju is not to be missed when visiting South Korea. 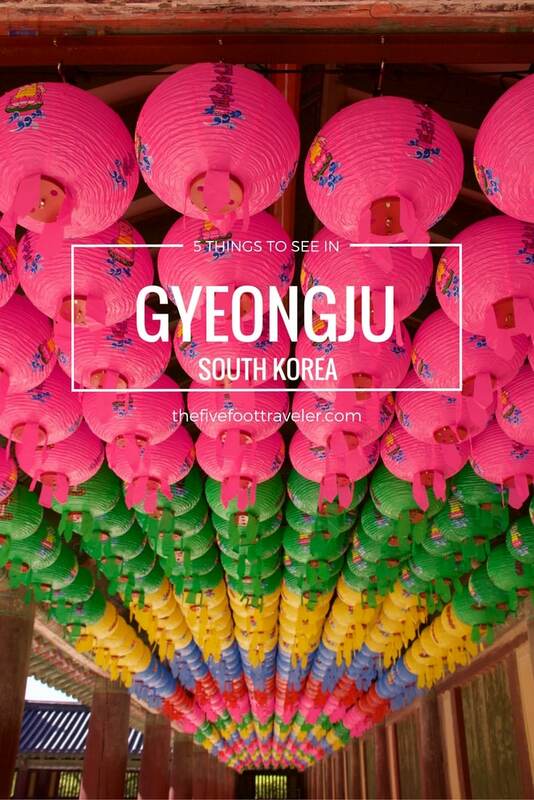 Typically overlooked by foreigners, this city is very historically significant; Gyeongju was the capital city of the ancient kingdom of Unified Silla (57 BC – 935 AD) and, according to some, it is the most historic city in Korea. There are so many remains from its heyday that it feels as if there’s something “ancient” around every turn! At first glance, the tourist map of the city is overwhelming, as there’s so much to see and do. If you only have a day or two, these five sites would give you a great introduction to Gyeongju. 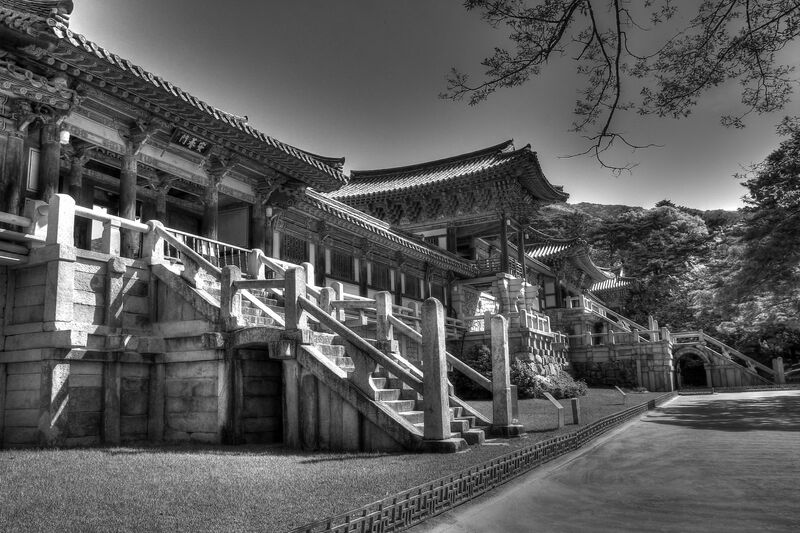 Bulguksa Temple was initially constructed in 751, but restored in 1973 after damage from the wars. 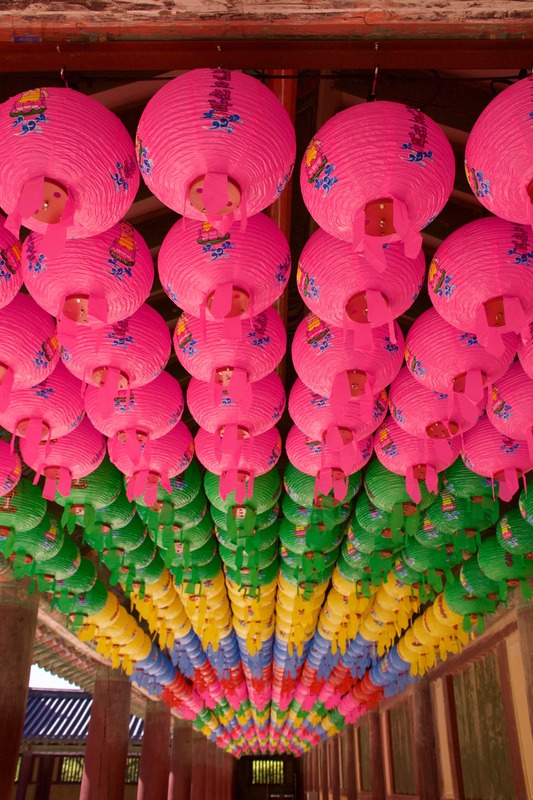 It’s beautifully constructed and, thus, the number one attraction for anyone visiting Gyeongju. 5FT Tip: To avoid hoards of tourists, wake up early to visit the Bulguksa Temple on a weekday before 10am. 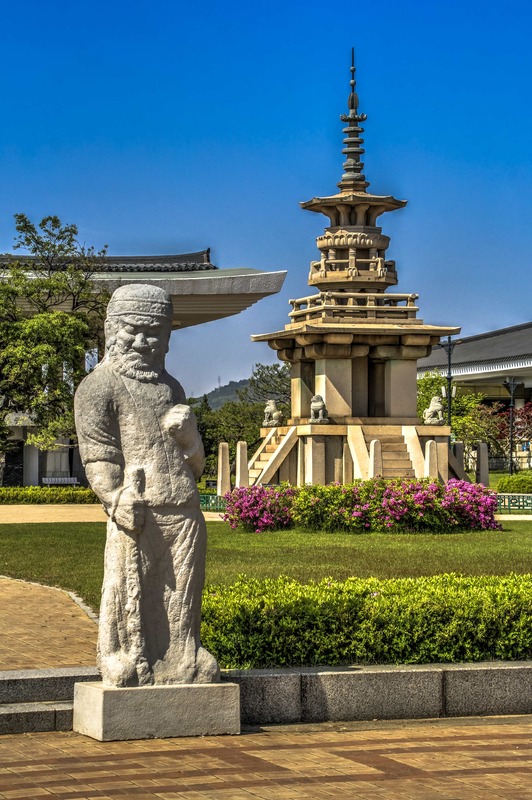 Walk around the preserved grounds, admiring the Shilla Buddhist art and architecture. From the stairs leading into the main corridors, to the pagodas within, the Bulguksa Temple is quite impressive! A walking path connects Bulguksa Temple and the Seokguram Grotto; it is 2.2 km uphill to the grotto and another 2.2km downhill to return. We decided to take Bus 12 from Bulguksa to the Grotto, but walked back. While the Seokguram Grotto may be a highlight for some, it surely wasn’t for us. For about $5 USD, you have the ability to enter the grotto which is home to a beautiful, granite Buddha. 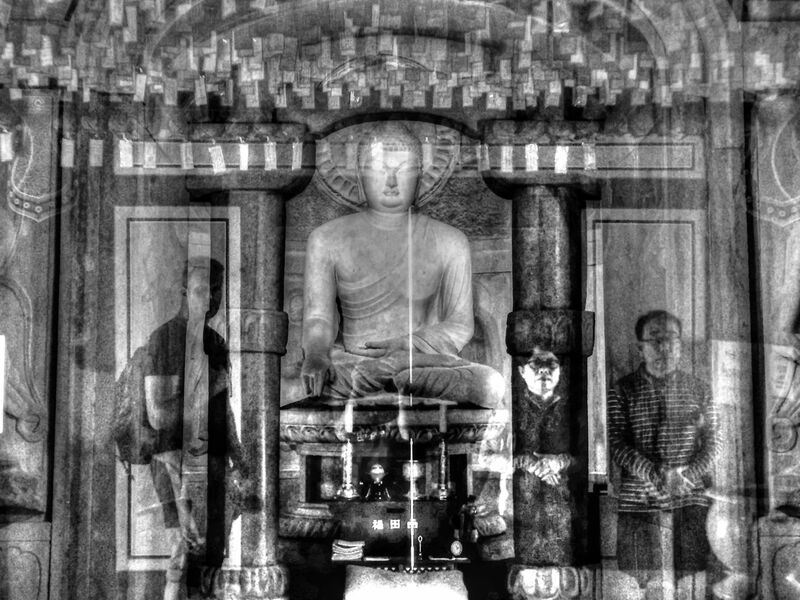 Our biggest issue lay in the fact that there was floor-to-ceiling glass between the viewer and the monument, and, with the sun beaming in, the glare was so strong that we could barely see the Buddha itself. Photos are not particularly allowed, and the grotto itself is quite small. Personally, we found it a waste of time and money, but, obviously, that is just our opinion. 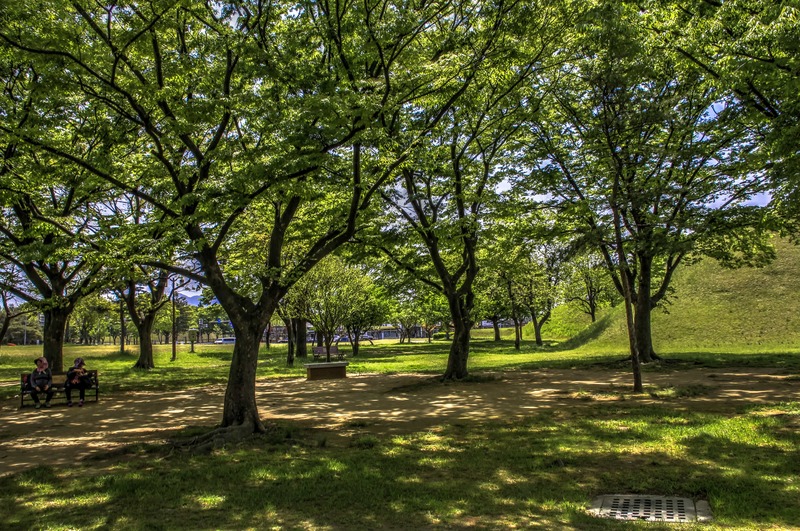 When walking through Gyeongju, you’ll instantly observe very green, well-maintained “hills” throughout the city. In fact, we even walked through some “hilly” areas en route from the central bus terminal to our hotel. Well, they most definitely aren’t hills; they’re actually ancient tombs. 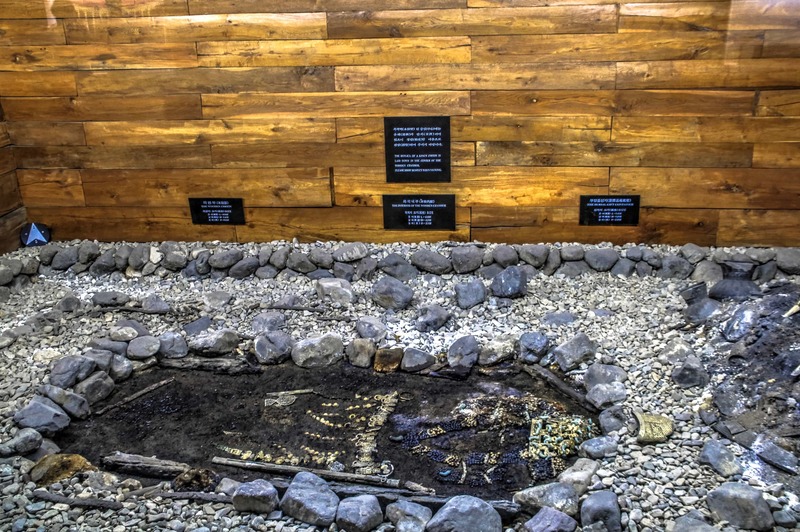 Despite being scattered across the city, the most famous of the ancient tombs can be found in Daereungwon. The area has 23 tombs; it is famous, however, for three tombs in particular: the Tomb of King Michu, the Hwangmadaechong Tomb, and the Chunmachong Ancient Tomb. Many national treasures were discovered within theses tombs. 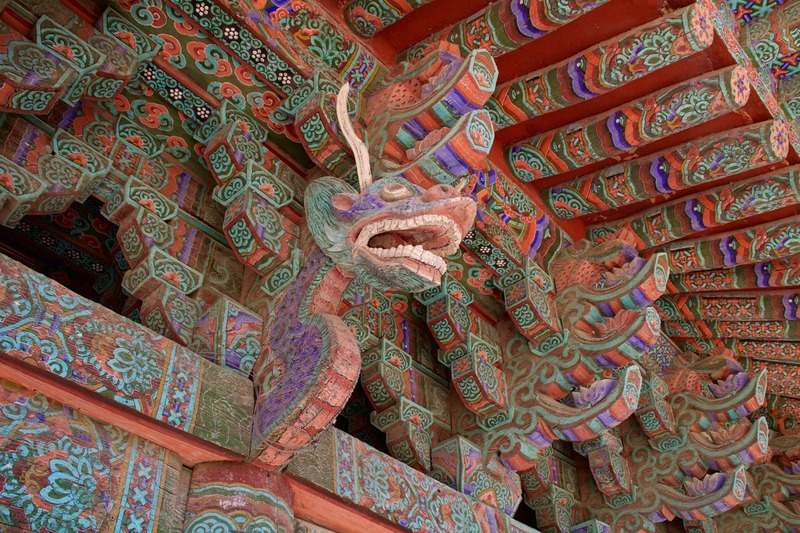 Replicas are displayed in the Chunmachong Ancient Tomb, of which you can enter, and the real things can be found in the National Museum. 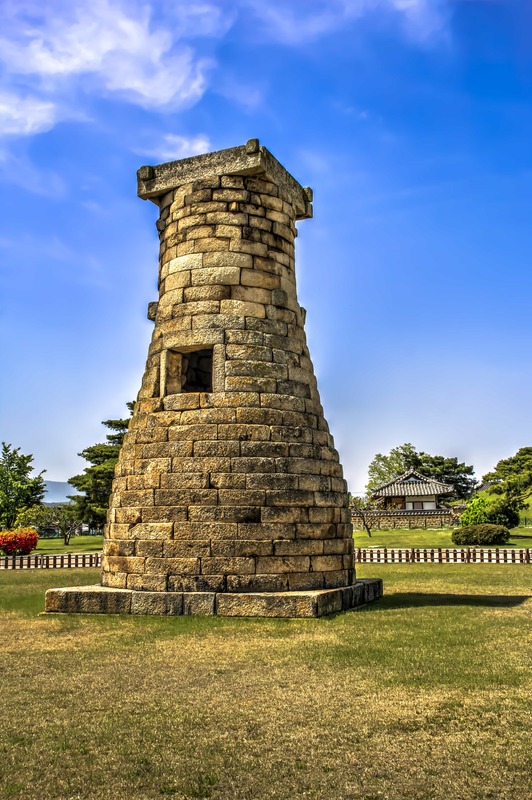 The Cheomseongdae Tower is the oldest astrological tower in East Asia. Each stone comprising the tower supposedly holds symbolic meaning, but my Korean is most definitely not strong enough to know exactly what meaning! Nonetheless, it’s a quick and easy pitstop during your exploration of Gyeongju’s Historic Areas. 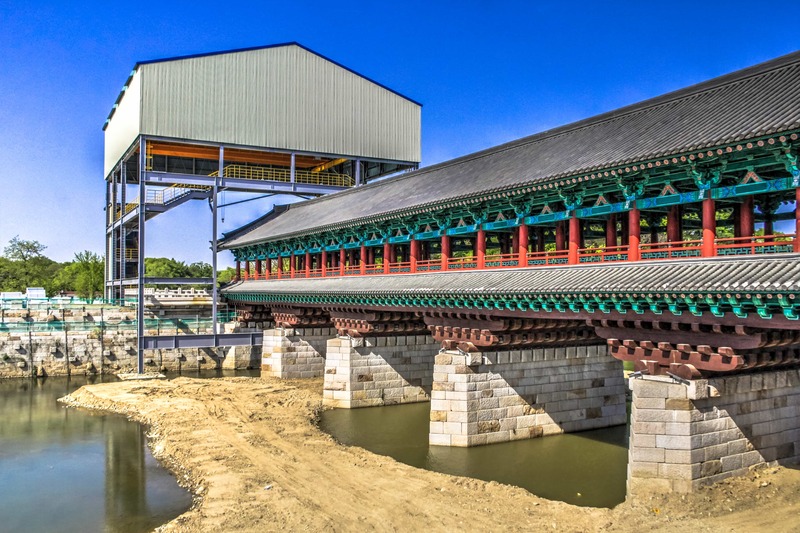 Despite being under construction, the Woljeonggyo Bridge is a site to see! 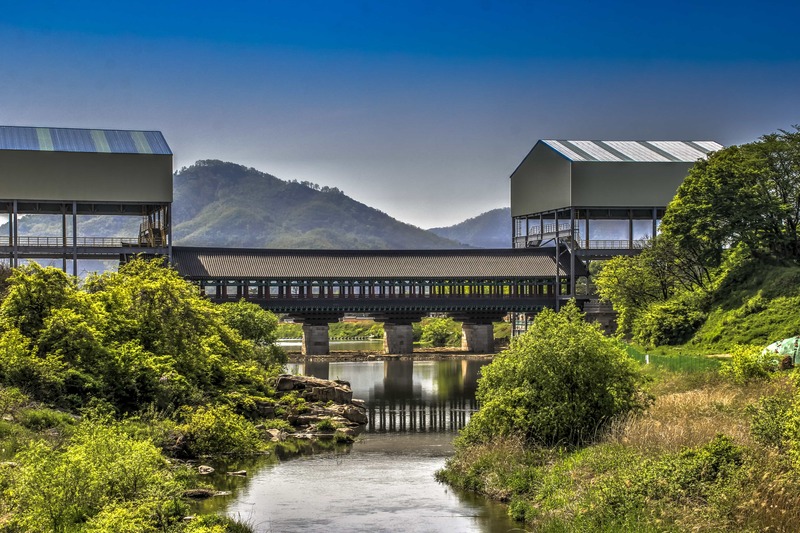 Originally constructed in 760, this may be the oldest stone bridge in Korea. 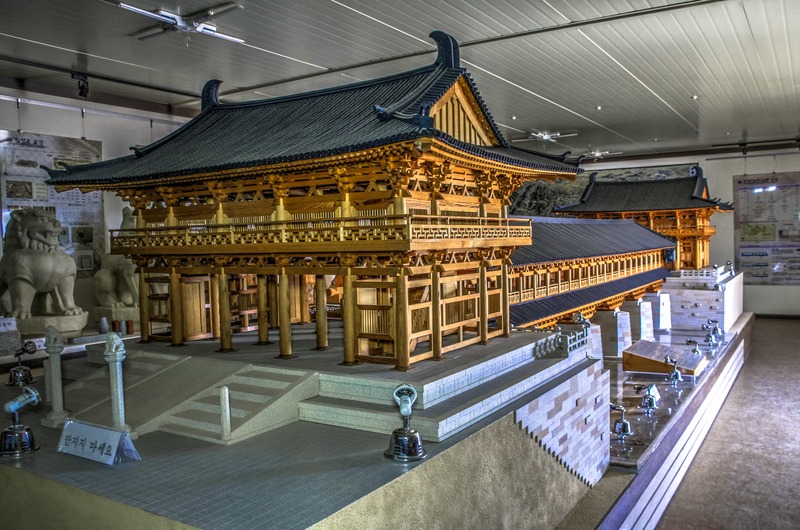 It explicitly showcases the elaborate architectural style used during the Silla Period. 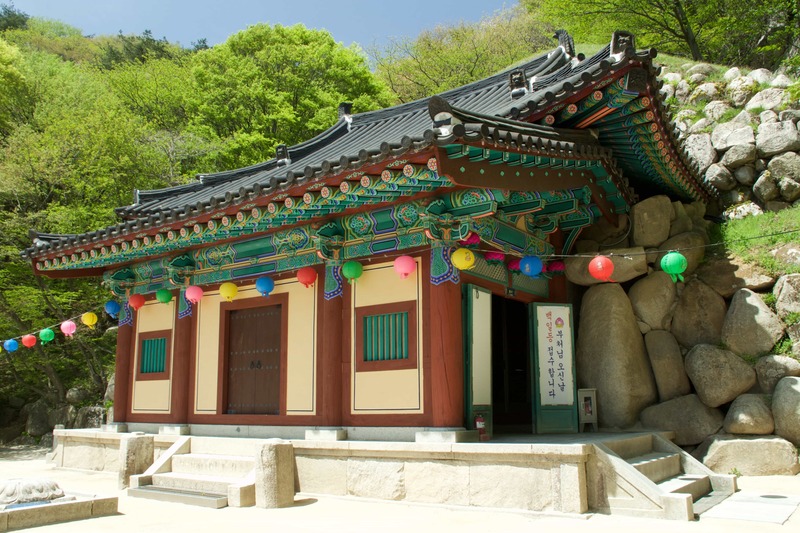 It was used to connect the Namsan Mountain to the royal palaces. Today it connects the main road with the Gyochon Traditional Hanok Village. 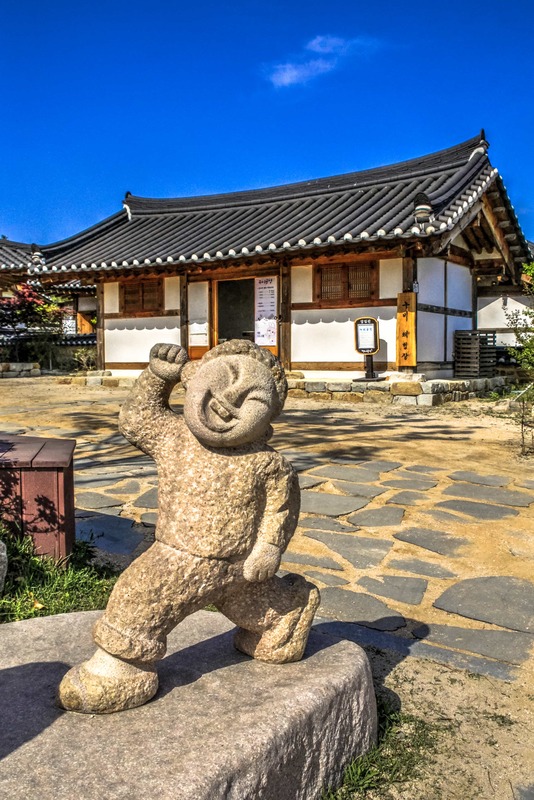 Take some time to stroll through the village and imagine what it must have been like to live under the Silla Kingdom; the Hanok Village was once the princess’ palace. An old house of the famous Choe family remains today, and it is free to wander the courtyards. Said by some to be Gyeongju’s most important attraction, the Gyeongju National Museum shouldn’t be missed. 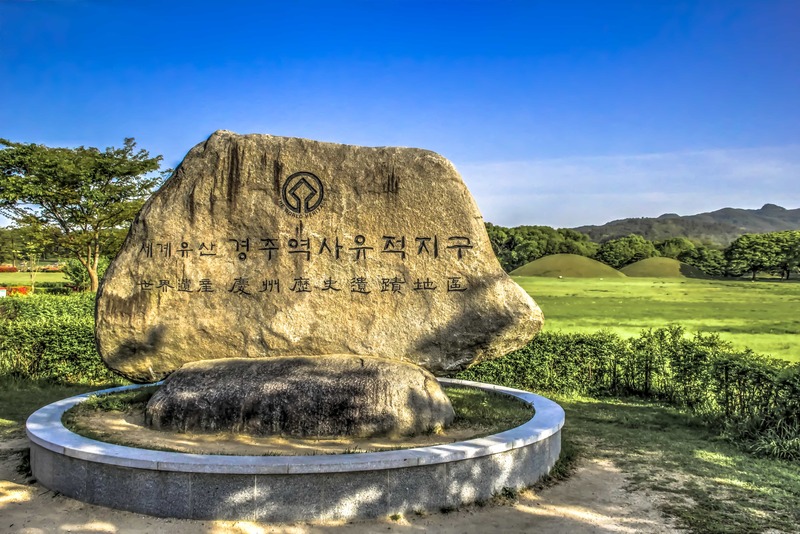 It is a great way to educate yourself on the history of Gyeongju and the Silla Kingdom, in addition to seeing over 3,000 relics that have been unearthed over the years. Unfortunately, we did not know that the museum was closed every Monday, and so we only had the opportunity to view the outdoor exhibits. The outdoor exhibits alone make the Gyeongju National Museum worth it! 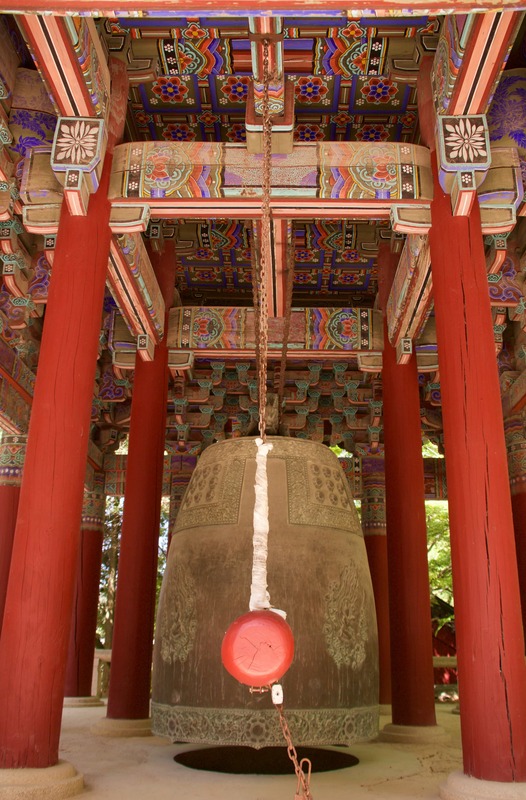 The Sacred Bell of Great King Seongdeok and the Three-Story Stone Pagoda at the Goseonsa Temple Site can both be found within the premises. 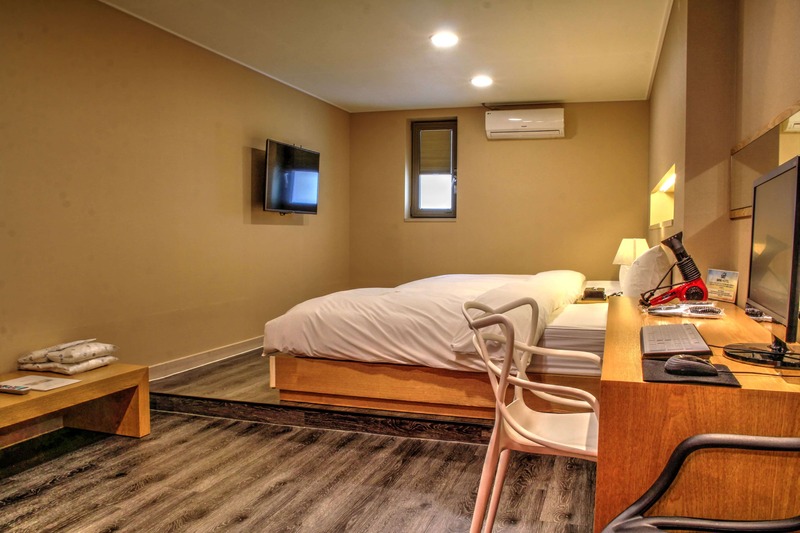 141 Mini Hotel is located in the heart of the Gyeongju Historic Area. Everything is within walking distance (except for the Bulguksa Temple which is outside of town), and the area is full of restaurants, cafés, and shopping areas. As there is no official website for 141 Mini Hotel, we weren’t exactly sure what to expect — we just hoped that it looked like the photos on booking.com. I’m happy to report back that the photos don’t do it justice. 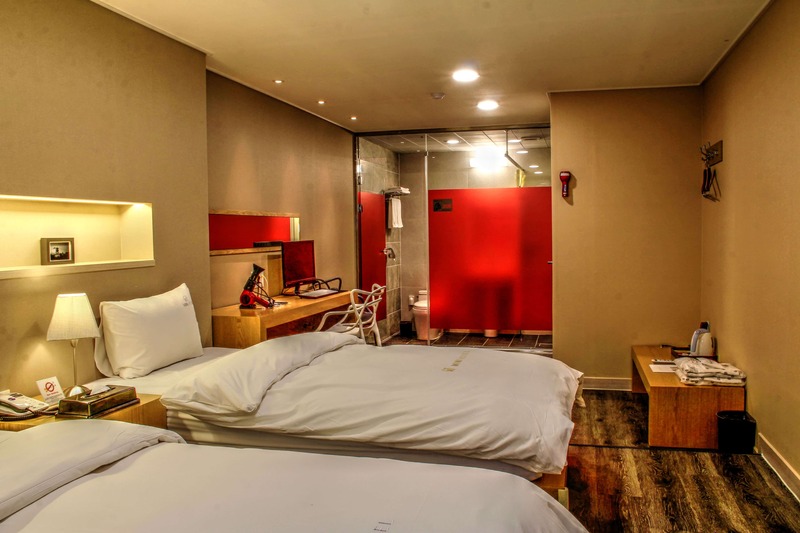 141 Mini Hotel is luxurious, clean, and fantastic! A nice touch of modern within such an old city. Our Deluxe Twin Room was as comfortable as it gets! 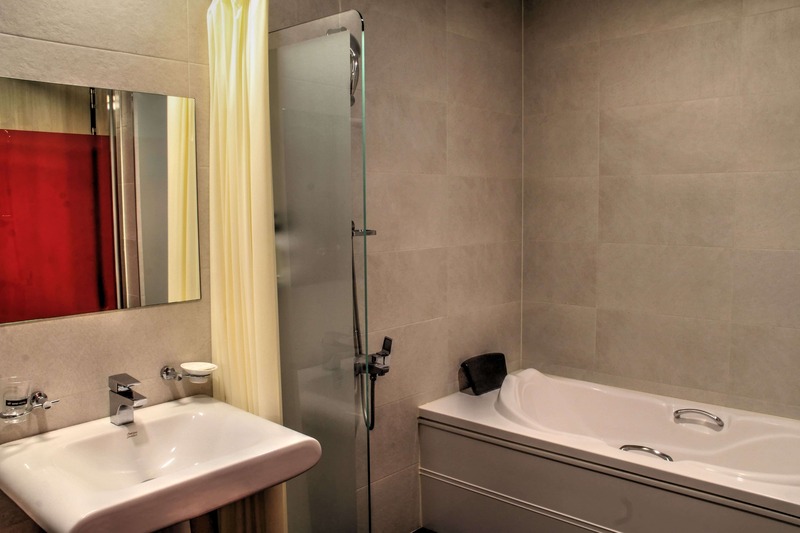 Equipped with a big flatscreen TV, large desktop computer, mini fridge stocked with water, and ensuite bathroom with a bathtub, bathrobes, and toiletries, 141 Mini Hotel will definitely suit the needs of every traveler or businessman alike. While two days were sufficient to explore the general vicinity of Gyeongju, I would love to return in the future to reach some of the sites on the outskirts of the city. When I return, I’ll most definitely be staying at 141 Mini Hotel! 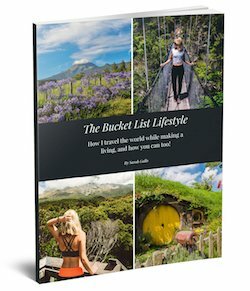 Interested in Gyeongju? Pin It Please! **Special thanks to 141 Mini Hotel for sponsoring our stay. As always, all opinions are my own. I love Gyeongju!! We were fortunate enough to be able to go with a friend who was originally from Gyeongju and so he was our own little tour guide lol. That’s so sad that you weren’t able to see the inside of the museum 🙁 it’s absolutely beautiful! If you ever get the chance to go back you should check it out!